Willow, over at Freetail Therapy writes about unschooling her 6 children; as well as her homesteading adventures. 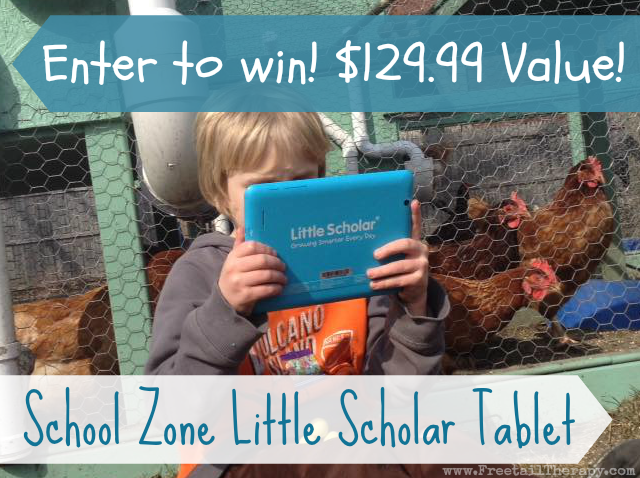 She wrote about her and her child’s thoughts on the School Zone Little Scholar Tablet, so make sure you check that out. The Mommy Rundown has joined Freetail Therapy and School Zone, to be able to offer this tablet, valued at $129.99 to one of our readers. This prize is sponsored by School Zone. Freetail Therapy, The Mommy Rundown and any other participating bloggers are not responsible for prize shipment. ← What Does it Mean to Have it All? I like that you can use it with or without wifi. I LOVE you’re able to use it without wifi…super handy!